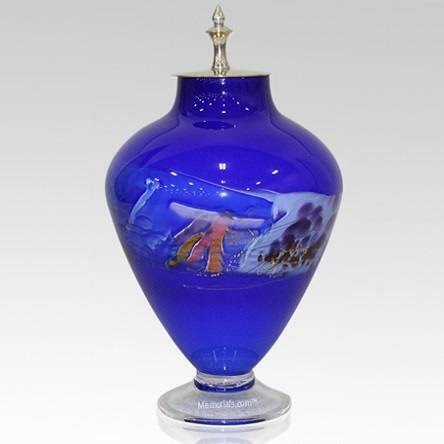 The Sapphire Crystal Cremation Urn is made from crystal. The crystal urn is hand cut to perfection. Due to the nature of cut crystal, dimensions and weights may vary slightly. The lid is metal (the flat part is gold and the top spindle is silver) it is a bit tarnished under nice. Top opening lid which could be sealed with adhesive. Note: Super Special - No Return!